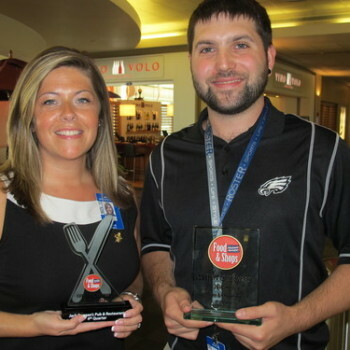 The Philadelphia Marketplace Food & Shops at Philadelphia International (PHL) has announced its merchants of the quarter for Q4 2012-13. Jack Duggan’s Pub & Restaurant on Concourse A East took the honors in the restaurant category. 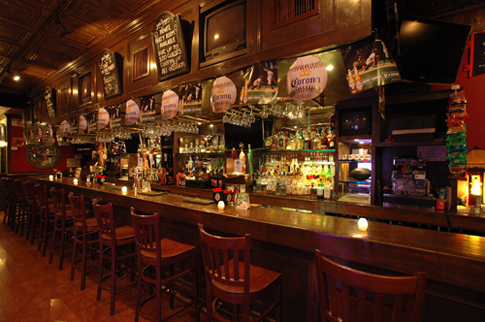 It is the only Irish pub serving travelers at the airport, and its menu includes deli sandwiches, salads, traditional Irish fare and a full bar. On the retail side, Roster on the B/C Connector won the award. The store carries a selection of hometown team apparel and gifts. The awards are based on The Philadelphia Marketplace’s Cutting EDGE! Program, which stands for Excellence Drives Great Experiences. Each merchant can earn points through customer service and participation in marketing programs; those with the most points at the end of each quarter is named Merchant of the Quarter.